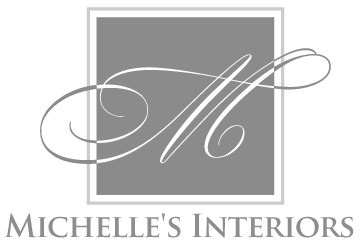 Interior designer Michelle Kopfer of Michelle's Interiors in Dallas, TX gives her thoughts on design trends, latest obsessions, and embracing life in the midst of the noise. This is long-promised, and way overdue! But I could not close out the Market series without posting a few of my very favorite finds. They speak so closely to the trends this year! And since design lasts a BIT longer than fashion, these will serve you well for another good while yet. 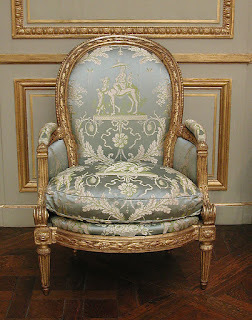 I trace the love of all things acrylic in design back to the Louis Ghost Chair back in 2002 by Phillipe Starck. I. Still. Love. This. Chair. The design was truly genius, inspired by Louis XVI's curving armchair lines, which you can see all over at Versailles. The most unique interpretation of acrylic was this completely cool wood look at Bernhardt. They actually pressed a wood mold into the bottom of the acrylic table. So the top stays smooth, but you get the rustic finish underneath. Genius. 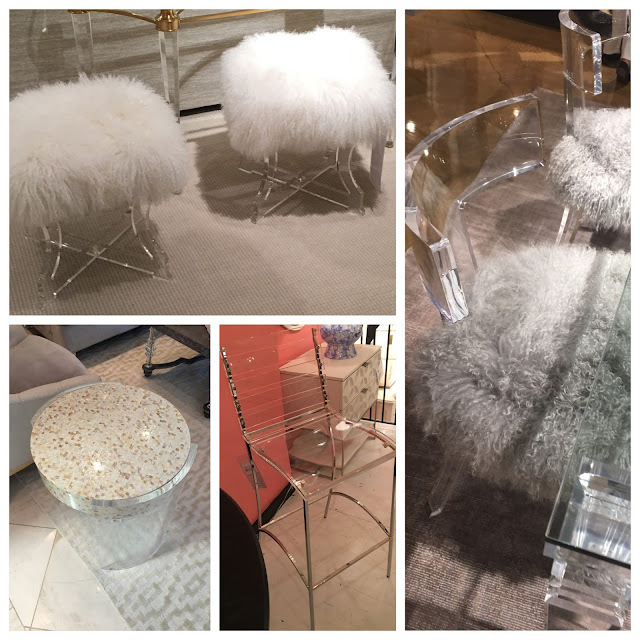 Love all the tie ins with other materials like the Mongolian lambs wool and the stone terrazzo table top. 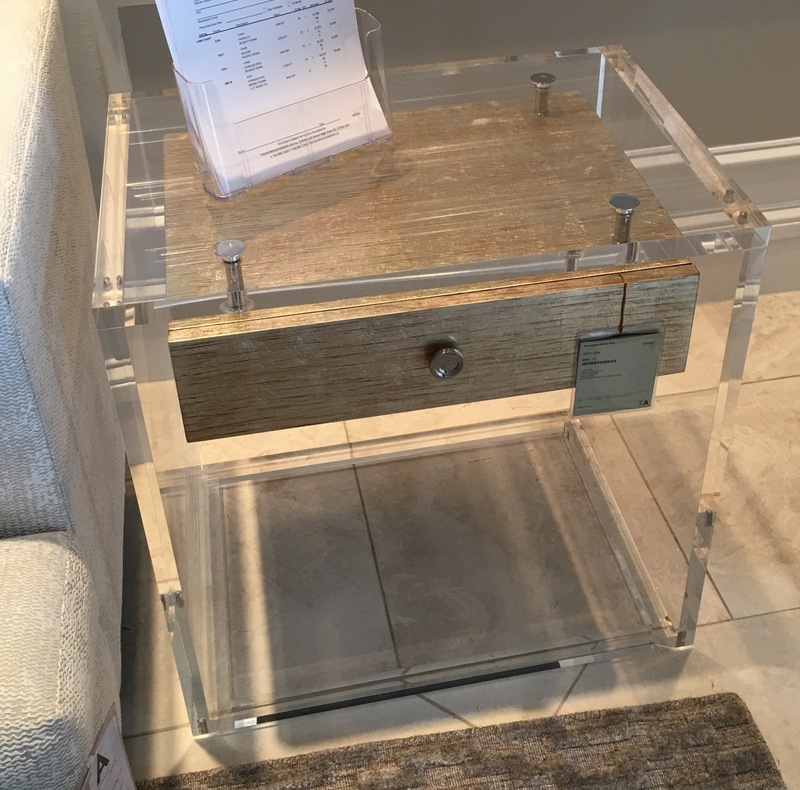 Another Favorite Thing item comes in the form of this sweet side table from Theodore Alexander. The star shape popped up in multiple formats all over market, but the painted details and leg carving on this table make it special. I always like an interpretation of something that is fun without crossing the line into silly. This one is perfect. I also found a new artist whose work I would love to put in a project. That is always a happy moment for me, and I would have taken this art home with me if it hadn't already been sold! 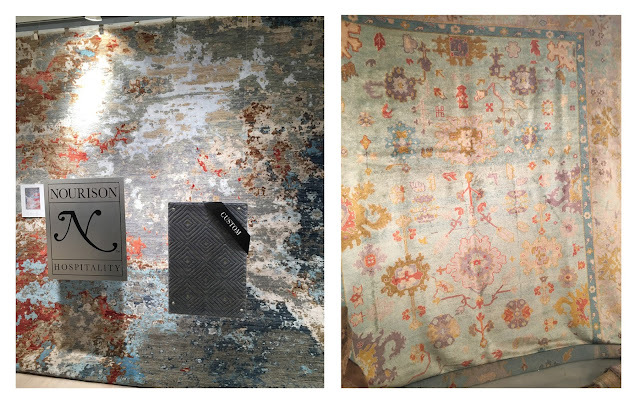 The soft colors are beautiful, and it is showcasing the BLUES that were all over Market. But my very favorite thing at market was this room scene at Vanguard Furniture. All of the blues working the together, the mirrored headboard, the upholstery details. LOVE. So there you have it! All of the trends from Spring 2017 that will be working their way here over the next few years. Be bringing more color into your designs, especially some bold blues. Work in little acrylic details for a chic touch. And make sure all of your pieces have special details, whether that is through paint, nail head designs, mixing materials, and so on. There are so many wonderful things out there to work into your home and put your imprint on it, making it your own special place. Happy designing! plastic tables make use of high denseness plastic-type, generator upward and then blend it together with colour. HDPE plastic-type is common inside container hats, milk containers as well as fresh lemon juice storage containers. All of us buy these types of post-consumer as well as post-industrial plastic materials, generator upwards and employ it to produce stunning garden furniture.